Book Review: “How My Savior Leads Me” by Terri Stellrecht | J.W. Wartick -"Always Have a Reason"
It is with great rejoicing that we release our son, Trent Lee Stellrecht, age 12, to our Heavenly Father. Dance before your King, my son (xiii). “How My Savior Leads Me” by Terri Stellrecht is a beautiful work of theological reflection. Terri’s son, Trent, passed away at age 12. The first part of the book reflects upon the incident. Everything is set against the background of Terri’s faith. She describes Tren’s life from birth to death, and throughout focuses on the joys of a son and his coming to faith. The reality of sin in the life Trent is acknowledged, even from a young age (10-11). But Trent eventually repented, telling Terri, “I’m not right with God” and repenting, turning to Bible study, and glorying in the Lord (12ff). But Trent’s life was cut short in a skiing accident. Terri describes the heart-rending scenes. The whole family saw his body, and Terri noted that “There was my son, but it was so clearly not Trent anymore. It was truly just a shell. A beautiful, young, 12-year-old shell of a body… It was so evident that there was no soul left” (32). The family took comfort in the last verses Trent had read, Isaiah 65:17-25, which starts, “See I will create new heavens and a new earth. The former things will not be remembered, nor will they come to mind.” Terri’s description of the funeral and other events surrounding Trent’s death is stirring and easily draws readers in. This is a Christian sister in mourning, and it rends the heart, even as readers rejoice with her that her son is in heaven. The book continues with several chapters on sovereignty, mourning, and other topics. It concludes with a series of edited blog posts Terri wrote during the period shortly before and after Trent’s death. The blog posts are all worth reading. Readers will delight in Terri’s joy in her son and also weep with her in the times of sorrow. Her exhortations to fellow Christians to “wake up” reflect an intimate knowledge of one’s own standing with God that Christians would do well to remember (132ff). 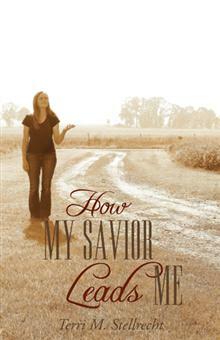 Theology is found throughout “How My Savior Leads Me.” Terri is consistently affirming of God’s sovereignty. The book makes it very apparent how comforting a strong view of sovereignty can be in times of mourning. Terri writes, “When we are weak, God is strong/ He empowered us to walk through those church doors, and promised to be with us for it all… We acknowledged God’s goodness in His perfect plan…” (40). Later, she writes, “If God ordained the beginning, the middle, and every detail until the end of Joseph’s life, [see the Joseph narrative Genesis chapters 37-50] then isn’t it easy to conclude that He has ordained every detail in our lives as well?” (59). Clearly, the comfort is found in acknowledging that all things are part of God’s plan. She turns also to the important question “Why has God ordained all things?” The answer Terri provides, on the basis of Ephesians 1:11-12 and Isaiah 43:7 is that it is for God’s glory to show through all things (59ff). “God’s sovereign hand” is found in suffering (61). It is part of a process of sanctification by which we are made holy (62ff). Now, within the Christian tradition there are those who definitely do not agree that God “ordained” every detail of Joseph’s life, if the sense of “ordained” is “caused.” Here, this reader’s own philosophy of religion may be peeking through, but it does seem that, at times, “How My Savior Leads Me” is advancing theological determinism. That may indeed be the view Terri holds, but it seems to me that such a position is inconsistent with some other propositions she makes. For example, she clearly does seem to hold that Trent willingly came to the faith after being a willing rebel against God’s will earlier in his life. Further, Terri writes, “In God’s sovereign plan, man had to fall so that the glory of God would be revealed to it’s [sic] fullest” (65, emphasis mine). Now, this assertion is highly contentious and doesn’t receive any argument [there are verses on either side of it, but they are used to support propositions in conjunction with them… the quoted statement has no cited verses]. I realize this is a position most in the various Reformed schools hold, but it does require some kind of argument to support it. Many Christians–myself included–certainly do not agree that man “had to fall” in order to reveal God’s glory. Also, Terri briefly admits chagrin at the female chaplain presented to her at the hospital, noting “How many times… have I gone on about women pastors and what I believe about the churches embracing of a practice and position that the Bible clearly lays out as a man’s role?” (31). Again, no argument is made to support this position. It should be noted that these criticisms mostly come from treating the book as something it’s not. The book itself is a book of mourning and theological reflection; it is not a defense of a position. Readers like me who may disagree with some of Terri’s points, but can still laugh, cry, and jump for joy with Terri as we follow her reflective journey in this book. Ultimately, “How My Savior Leads Me” deserves a read by anyone. I must use the word “beauty” to describe much of the book. It is beautiful to see a mother mourning her son while affirming the Lord. It is beautiful to weep with our fellow Christian as they endure suffering. It is beautiful to look ahead, and to marvel at how our savior leads us. Terri Stellrecht, How My Savior Leads Me (Bloomington, IN: WestBow, 2011). Disclaimer: I was provided a review copy of this book by the author. My thanks to Terri for the opportunity to review her book.